Barclays Capital will be shelling out quite a bit of its own capital -- some $97 million in fees and mutual fund sales charges to about 25,000 of its advisory clients. The Securities and Exchange Commission said the bank overcharged clients by about $50 million because it lacked procedures to validate whether clients were properly billed. The SEC’s order finds that two Barclays advisory programs charged fees to more than 2,000 clients for due diligence and monitoring of certain third-party investment managers and investment strategies when in fact these services weren’t being performed as represented. The SEC also said that Barclays collected excess mutual fund sales charges or fees from 63 brokerage clients by recommending more expensive share classes when less expensive share classes were available. 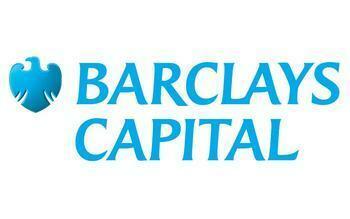 Another 22,138 accounts paid excess fees to Barclays due to miscalculations and billing errors by the firm. Without admitting or denying the SEC’s findings, Barclays agreed to create a "Fair Fund" to refund advisory fees to harmed clients. The Fair Fund will consist of $49,785,417 in disgorgement plus $13,752,242 in interest and a $30 million penalty. Barclays will directly refund an additional $3.5 million to advisory clients who invested in third-party investment managers and investment strategies that underperformed while going unmonitored. Those funds also will go to brokerage clients who were steered into more expensive mutual fund share classes.